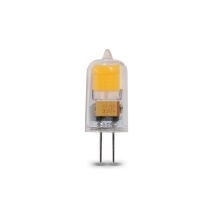 The G4 halogen bulb is a great replacement of halogen bulb base. It can adjust light, no flickering. Super bright and adjustable light. 360 degrees beam angle, is the most widely angle lighting. Ceramic heat sink, insurance of high watt. No flickering, protect your eyes.